This article is a post in a series on bringing continuous integration and deployment (CI/CD) practices to machine learning. Check back to The New Stack for future installments. Whether you’re developing a machine learning system or running the model in production, there’s an increasingly large number of data processing workflows. 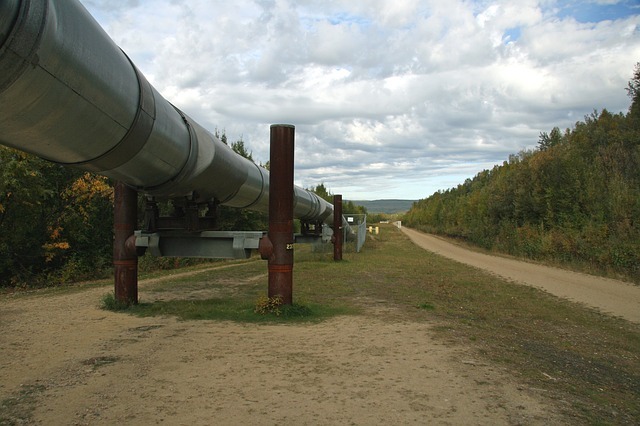 The pipeline runs from ingesting and cleaning data, through feature engineering and model selection in an interactive workbench environment, to training and experiments, usually with the option to share results, to deploying the trained model, to serving results like predictions and classifications. The machine learning development and deployment pipelines are often separate, but unless the model is static, it will need to be retrained on new data or updated as the world changes, and updated and versioned in production, which means going through several steps of the pipeline again and again. Managing the complexity of these pipelines is getting harder, especially when you’re trying to use real-time data and update models frequently. There are dozens of different tools, libraries and frameworks for machine learning, and every data scientist has their own particular set that they like to work with, and they all integrate differently with data stores and the platforms machine learning models run in. When you ask data science and machine learning teams what tools they use the most, they mention Hadoop, Spark, Spark Streaming, Kafka, cloud services, R, SAS and a range of Python tools, even though they’re found at different stages of the pipeline. There are also cloud services like Google Cloud DataFlow and Azure Stream analytics that cover multiple stages of the typical pipeline. Capturing data needs a durable, scalable, high-throughput data ingestion system — like Apache Kafka or cloud services like Azure Event Hubs and AWS Kinesis — that accepts data from a variety of sources and distributes it to the right place. The next step is a data transformation tier that processes the raw data; filtering, aggregating, augmenting or consolidating it and then transferring it to a permanent data store. O’Reilly’s 2018 survey on the tools and technologies used for analytics and AI shows the popularity of Apache Spark for doing that data transformation, but it still needs a data store, whether that’s Hadoop Distributed File System (HDFS) and HBase, Apache Cassandra, cloud storage like Amazon S3 and Azure Blob Storage or other database storage. It’s possible to process data for machine learning in-place, inside the database; databases like SQL Server and SQL Azure are adding specific machine learning functionality to support that. More common is streaming a subset of the data for processing; Spark has that built in with Spark Streaming which can read data from HDFS, Kafka and other sources but there are alternatives like Apache Storm and Apache Heron. Whatever else is in the pipeline, initial exploration of the data is often done in interactive Jupyter notebooks or R Studio. “Newer cloud platforms provide an open ecosystem and choice of frameworks like Spark, PyTorch, TensorFlow, Scikit-Learn and so on. Legacy platforms like SAS have a matured but sticky ecosystem around them,” Thacker said. One reason for the popularity of Spark is how much it includes, like the built-in MLib machine learning library. That’s convenient and easy to get started with, because it includes common learning algorithms and utilities and runs on the Spark Core, but it’s not always powerful enough for all needs — especially as you move from more traditional machine learning algorithms to deep learning. There are plenty of alternatives, like the H20 platform which has in-memory machine learning algorithms including deep learning that can be called from Python and R (and can integrate with Spark via Sparkling Water), as well as the plethora of machine learning tools and libraries. Part of that is the increasing popularity of Python for data science, which needs a different set of tools, but Bock says there’s also a bigger movement towards systems that deal with data more in real time, whether that’s processing IoT data, understanding a potential buyer’s behavior while they’re still thinking about choosing your product or service or delivering insights to customer support staff while they’re talking to the customer. “We’re seeing some aspects of analytics processing being pushed into streaming systems; so Spark is often still used for training and exploration as people are developing their models but when they want to execute those models we’re seeing people look beyond Spark, and we haven’t seen broad adoption of Spark Streaming [for that].” Streamlio’s platform is based on Heron, the Apache Pulsar pub-sub messaging system and persistent message storage in Apache BookKeeper. “People doing more advanced machine learning are going beyond just taking a batch of historical data and trying to build models that look only at that; they’re building models that can look at data as it arrives and that requires a more sophisticated pipeline,” Bock said. “We went through a phase of five to ten years where a data lake was considered to be the cornerstone of your data pipeline, so your job was to get data into the data lake as quickly as you could and then figure out what to do with it — but we ended up creating this massive bottleneck in data engineering that ultimately made data scientists pull their hair out. What we’re seeing now a shift away from data lakes and more towards what if we now start doing the processing on the data as it arrives rather than first dumping it somewhere and having to come back and clean it up,” Bock said. The availability of IaaS (increasingly with GPUs and other accelerators) has been key for scaling machine learning so far, but this is now switching to cloud-native technologies like containerization and microservices for both scale and separation of concerns.